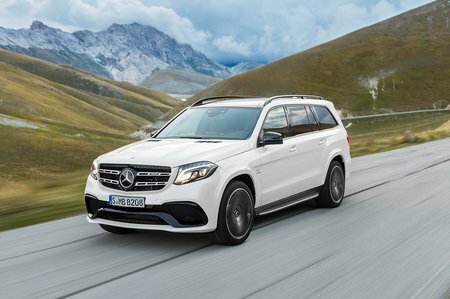 Formerly the GL, the Mercedes GLS is an entrant into the large SUV class, and goes up against rivals such as the Range Rover Sport, Audi Q7 and Volvo XC90. 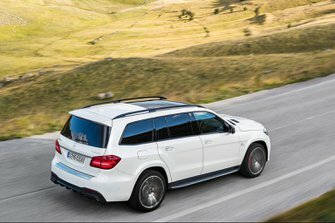 It seats seven people as standard and comes with the choice of two engines; a six-cylinder diesel 350 d or the performance orientated AMG 63 V8 petrol. The GLS is a more expensive prospect than before, but a better one. It rides comfortably, provides decent refinement and comes stacked with standard equipment. There’s also genuinely plentiful room for seven on board. Is it as good as our favourite and similarly priced Range Rover Sport SDV6 HSE overall? Probably not. The Range Rover isn’t quite as spacious, or well equipped, but it is quicker, officially cleaner and more frugal, and manages to blend a comfortable ride and handling that defies its size much better. It’s also similarly refined and h inside. The trouble is, it’s difficult to make a strong case for buying the GLS when an Audi Q7 is also a better buy. The Audi matches the GLS’s cushioning ride and has an even silkier engine and solidly built cabin, while also providing good space for seven as standard. Furthermore, it’s a considerable amount cleaner and more frugal, while costing much less to buy.